Why Aren’t More People Excellent? 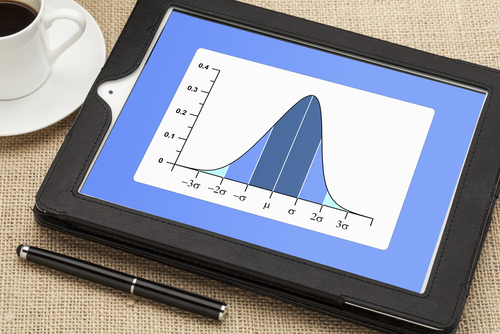 Most of us are familiar with the bell curve. Statistically, on many characteristics (such as height) people fall along a continuum. Most are near the average and very few are exceptional at both ends. There are lots of 5’9″ males and not very many 5’1″ or 7’1″ males in the world. In my younger days, I found myself often becoming frustrated and disappointed when professionals did not perform well when I sought their services. When I went to see a doctor, lawyer, auto mechanic or painter I expected them to apply a high level of professionalism. So when I took my car back for the third time to fix the same problem, I got frustrated. When the physician attempted to fit me into the 3.5 minutes that had been allotted to my appointment, I got frustrated. When the attorney asked his partner to join my consultation to generate additional fees versus a genuine need for additional expertise, I got frustrated. When the car dealership always found $1,000.00 worth of repairs separate from the reason I brought my vehicle in, I got frustrated. As I reflected on this over the years, it struck me that people are distributed along the bell curve in terms of professionalism. Once I realized the vast majority of professionals are distributed around the average range of service or below, I understood why I was having so many frustrating experiences. Now, when I encounter average or poor service I understand it will likely be the norm—therefore it no longer frustrates me. I simply understand it will take me a longer period of time than others to find individuals I choose to deal with in my personal and professional lives. This led me to adopt my personal bell curve theory of life. I no longer assume high levels of competence merely because a person has an advanced degree, an esteemed profession or even a good reputation. You do not have to be excellent in order to be successful. Success is about achieving a specific outcome better than other people or other organizations. Excellence is about maximizing your potential on a consistent basis. There are two reasons most people are not at the upper end of the bell curve in whatever they choose to pursue in life. The first is that it’s easier not to be. Sustainable excellence requires consistent effort, focus and discipline. Performers who demonstrate sustainable excellence are always looking for ways to improve–regardless of their current level of success. Most people who achieve success celebrate it and congratulate themselves. The second reason more people do not fall at the upper end of the performance bell curve is that you can get along quite well in life living in the middle. You do not have to be excellent to have a stable job, make a nice income and live in the suburbs with your partner and kids (nothing against folks who live in the suburbs!). For many people, this would be the good life. Most people do not challenge themselves to be their best and also do not expect it from others in their lives. Life is too short to run with the pack in the middle of the curve. Make the decision to be excellent in your personal and professional lives. It’s much more fun to be around people who care than those who are just getting by! Thanks for the challenge to step up and refuse to accept mediocrity. I’m thinking through the concept that excellence does not mean that you’re the best in the world at something. It simply means that you do the best you can do at this point, understanding that you’ll get better by doing. What do you think about that concept? Yes Lance, right on track. In my view, excellence means truly fulfilling your potential. We all have different skills, genes and experience. Only a handful of people can be the best in world at anything. But we can all develop and follow a system that allows us to maximize our own unique potential. I’m amazed by how many people choose not to do so! Thanks for your comment. Glad you enjoyed the post Vance. Seems we are kindred spirits in thoughts about excellence. I believe the tools of excellence are not rocket science. Although most people say they want to be excellent, I’ve found relatively few who are willing to demonstrate the discipline to achieve excellence. I enjoyed your blog. I particularly enjoyed the post on Humble Confidence. I look forward to keeping in touch and welcome your feedback on my blog and other posts. I actually created a blog around this exact topic called ExcellenceForEveryone.com. I believe that everyone who wants to live a life of excellence, can do so. But they have to want it. The thing that I’ve found is that many of the people who do want to live lives of excellence don’t know how or where to start. I’m writing my blog in an attempt to help those people, as well as those who simply want another resource to use to help them LEED (Live Excellently Every Day). I would love for you to check it out and let me know what you think!